The Nahigian Road Trip will be running its Spring 2019 route. Schedule your pickup now! Contact us by April 17th, 2019 to be included in this year’s Spring Trip! Sarkis Nahigian opened his first Chicago Oriental Rug store in 1890. From the beginning, this included Oriental rug cleaning and Persian Rug cleaning. By the 1920s, Nahigian Brothers had opened a 5-story galleria, with each floor featuring rugs from a different country. This was the largest and most fashionable oriental rug store in the United States. Here, on Wabash Avenue they became the heart of high-society’s center of opulence. This family business also cleaned and maintained oriental rugs, Persian rugs, as well as non-oriental rugs, for households and businesses throughout the city. 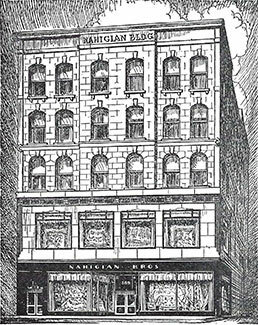 Then Nahigian Brothers moved to Michigan Avenue, and eventually opened Nahigian Brothers Galleries at Marshall Field’sTM. Today, the Minasian Rug Company is honored to carry the Nahigian Brothers collection of antique oriental rugs, along with their tradition of service; including expert hand cleaning, repair and restoration at the Minasian store in Evanston. Tom, along with his cousins, first learned the art of Persian rug cleaning and restoration from their fathers and grandfather. With over 30 years of hands-on experience in rug care, he learned service and care from only the most reputable sources. 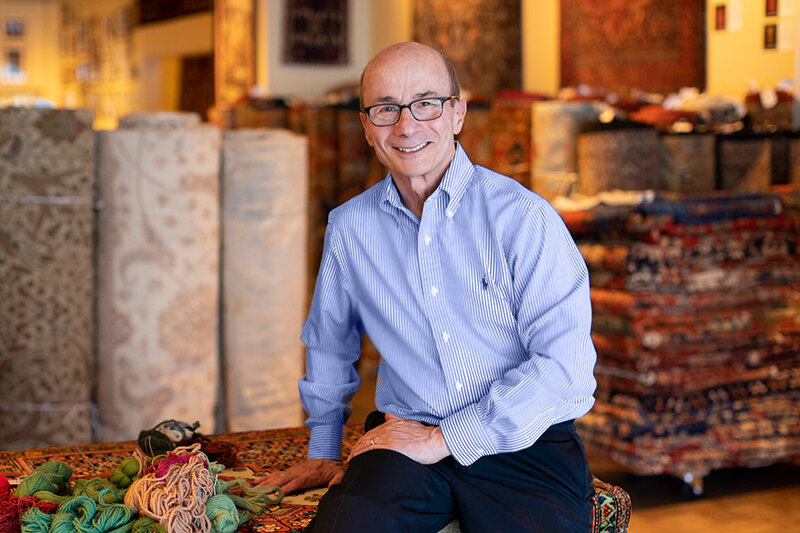 During his extensive career, Tom has served several respected institutions including as the managing director of cleaning, repair and restoration for Nahigian Brothers Inc., Nahigian Brothers Galleries at Marshall Field’sTM and the Minasian Rug Company. Tom’s life-long history of attending to his customers’ rug care needs has created trust and long-term friendships. 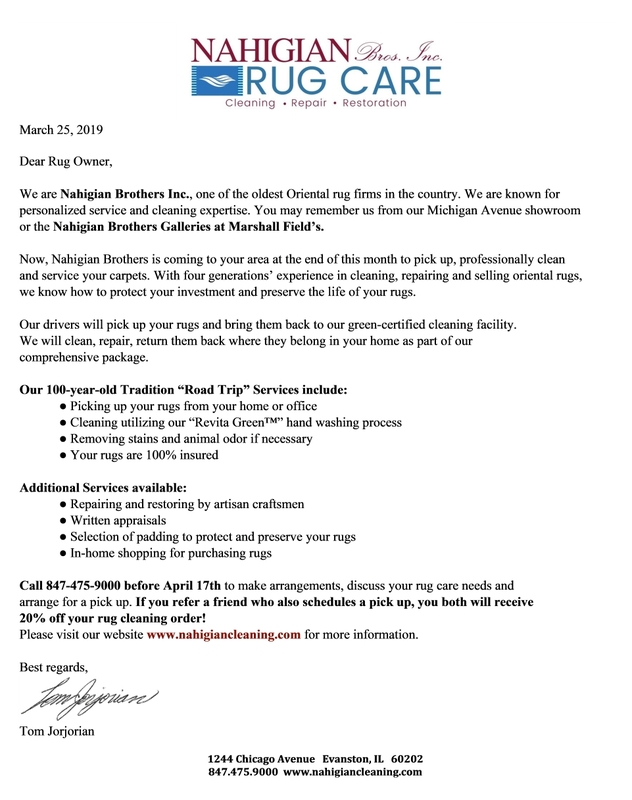 This is why Nahigian Brothers, Inc. claims to have Chicagoland’s most trusted advisor in rug cleaning, repair and restoration. 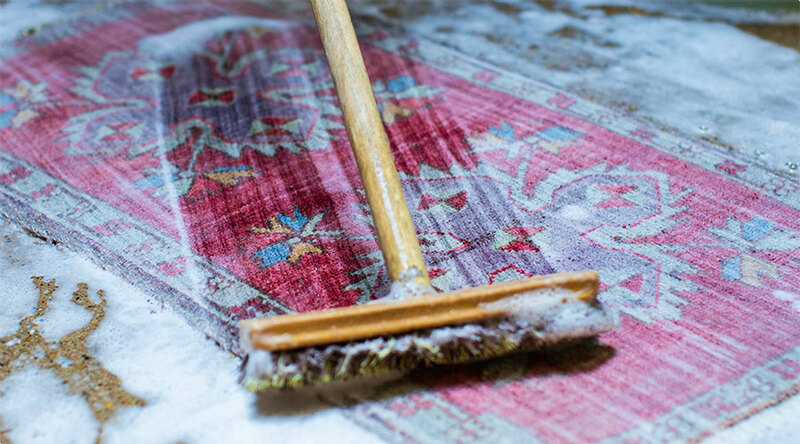 For over three generations, Nahigian Brothers Inc. and Minasian Rug Co. have been Chicagoland’s “first call” for individualized oriental rug cleaning for rugs of all shapes and sizes, from area rugs, kilims to antique Persian carpets. After a custom evaluation of your rugs and carpets, each piece is given an environmentally sustainable, “green” cleaning protocol. Click the link below to read more about our process and scheduling an appointment on the Minasian Rug Care website. 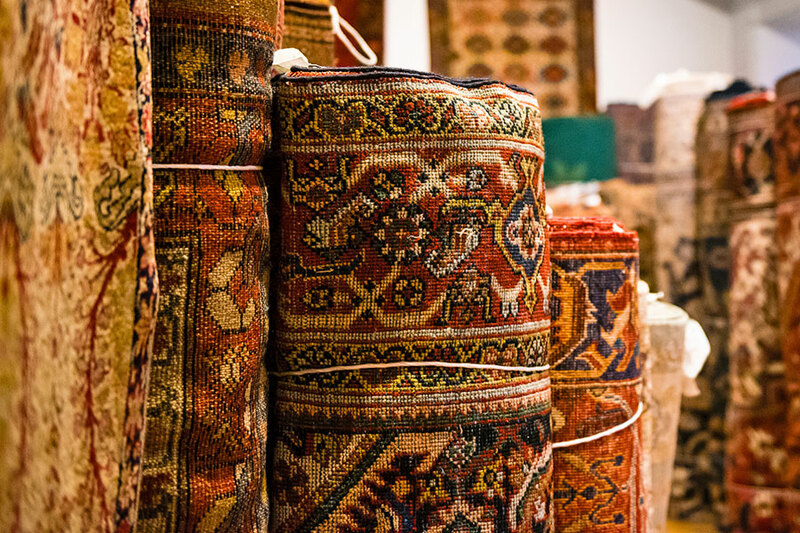 From the grandest antique carpets to a modest but beloved bedside rug, Nahigian Brothers has been trusted for generations as experts in oriental rug repair to restore your treasured rugs to their former glory. 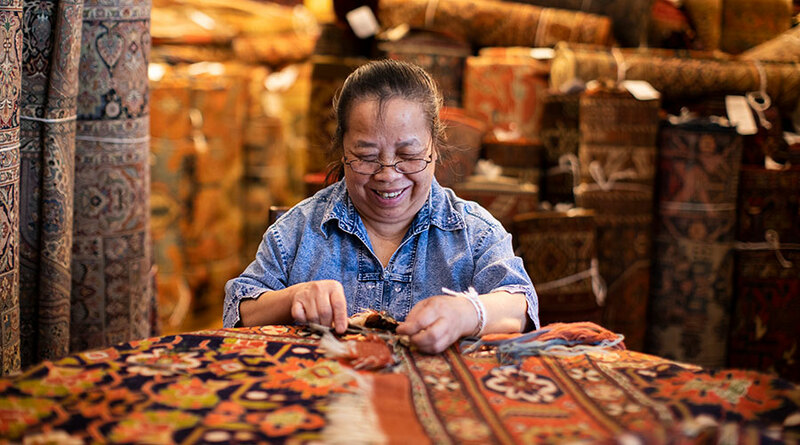 Whether it’s pet damage, moth infestation or a plumbing disaster, the highly skilled artisans at Nahigian Brothers will create a custom plan to repair your rug or give new life to a favorite older piece. With their expertise and the finest wools of every shade on hand, our team can reweave portions of your rug so well that you can’t locate the repair! 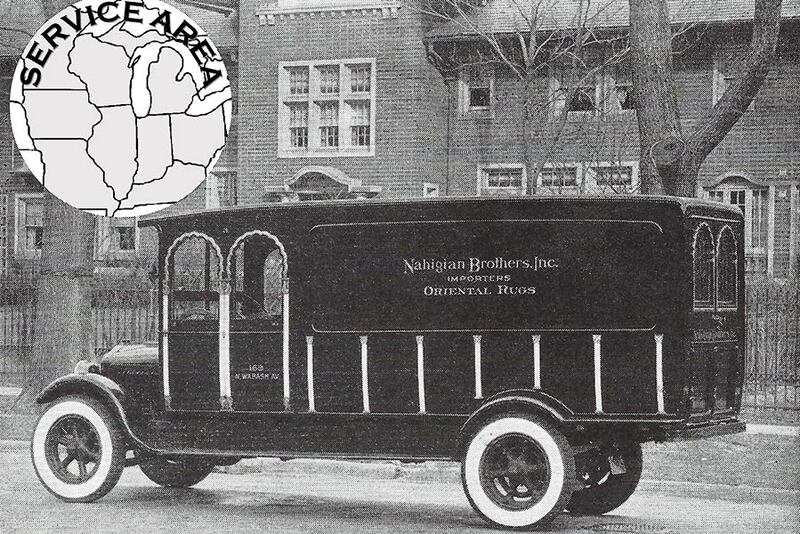 For clients outside the Chicagoland area, we offer our famous rug cleaning caravan, the Nahigian Brothers Road TripTM, a century-old tradition! The Road Trip serves the needs of discerning homeowners and businesses throughout the Midwest. Chicago was an exciting place to be in the “roaring 20s” and Sarkis Nahigian’s Michigan Ave. Oriental Rug emporium was the largest and most fashionable in the United States. Imagine five full floors of palace-sized rugs displayed so that each floor represented its own country or weaving tradition! All through the 20th century, this family business continued to be an obligatory shopping experience for Chicago VIPs and their guests from around the world. Today, we are delighted to offer rugs from the vaults of this fabled Nahigian Brothers collection through the Minasian Rug Company. Click below to browse the collection! Call to schedule an appointment or visit our cleaning facility in the Minasian building at 1244 Chicago Avenue.